Pokémon is a popular international brand with a slew of TV serials, movies, video games, toys and consumer products. The show is syndicated by Dream Theatre to Hungama TV, marking the former’s foray in the content syndication space adding to an already-existing licensing and merchandising business in India and South Asia. .
Dream Theatre helped re-launched this brand in India and South Asia in not only Syndication but also Licensing and Merchandising. 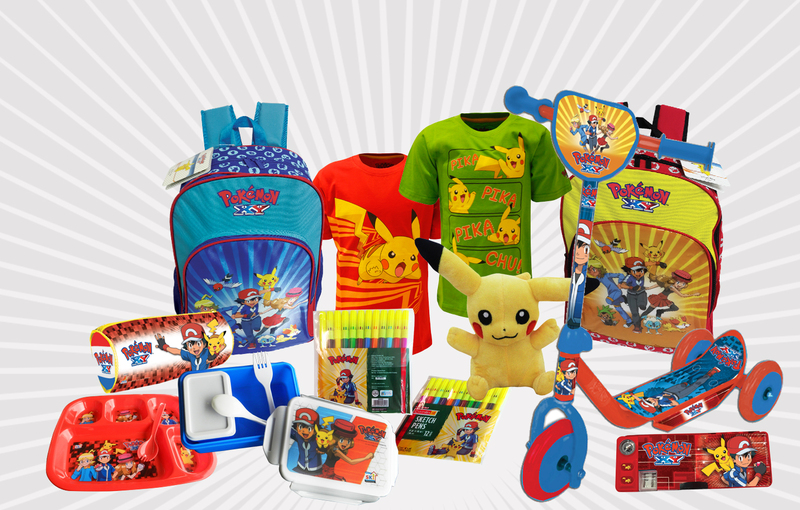 This global entertainment brand is ramping up for continued success following the launch of licensed Pokémon products. Dream Theatre has kicked-in the second phase of making the merchandise available for its fans. Having partnered with Hungama TV, the TV show continues to be amongst the top rated kid’s animation content on television. The number of licensees for Pokémon is growing slowly and we are assertive about the program getting accelerated by the end of this year. & many more to be launched by the end of this year!